With Boat, Outboard Engine and Boat Trailer theft on the increase its worth taking a look at the boat outboard engine and boat trailer security products on offer at Anglesey Marine Supplies. Our universal boat outboard engine and stern drive locks fit the majority of outboards, Suzuki, Yamaha, Mercury, Mariner, Evinrude, Force, Chrysler etc, We offer the Mcgard Stern drive locks at very competitive prices to fit most models. Boat outboard engine fuel connector locks and propeller locks give additional outboard engine security. 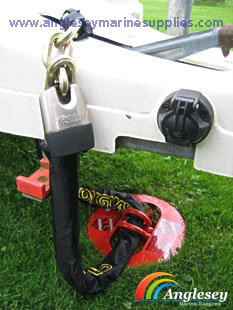 For Boat trailer security we offer boat trailer wheel clamps and trailer hitch locks. Lock Your Boat And Trailer When Winter Storing.Be secure. Outboard and boat engine security locks and devices, boat and trailer hitch locks, boat trailer wheel clamps, boat security devices, outboard engine and outboard locks, trailer wheel clamps in stock. universal outboard and propeller security, mcgard stern drive locks supplied, outboard bolt lock and boat fuel connector locks supplied, boat trailer wheel clamps. 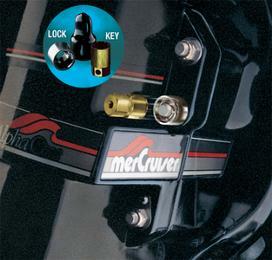 Heavy duty universal outboard engine lock, made in the U.S.A ,for extra protection on all engine sizes. Prevents removal of transom mounting bolts. Comes complete with flush mount lock and various sized washers. Masterlock outboard engine lock, case hardened vinyl clad tube with recessed marine brass lock, Tube gives extra protection against cutting. All stainless steel, heavy duty outboard Motor lock with screw locking mechanism, also soft rubber insert for noise reduction. 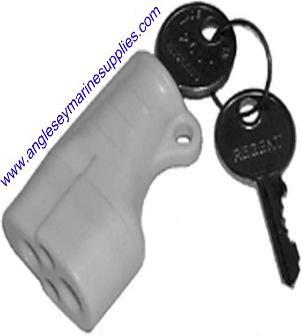 The lock as a waterproof cover, supplied with 2 keys. McGard stern drive lock for securing the stern drive leg. Will fit the majority of stern drives. With boat and engine thefts on the increase it makes sense to increase on security. The fitting is very easy and is demonstrated clearly in the video shown on the right. Was £39.99 now £31.99 plus postage. Outboard Engine fuel connector lock. Fits on the outboard engine fuel line connector to prevent the engine from being started. Will fit Mercury, Mariner, OMC, Honda, Yamaha, Tohatsu. 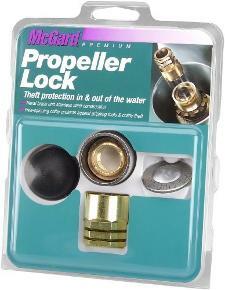 McGard boat outboard engine propeller locks from Anglesey Marine Supplies. Ultimate security against propeller theft. Very easy to fit, please take a look at the installation video. Use drop menu bar for outboard engine choice. 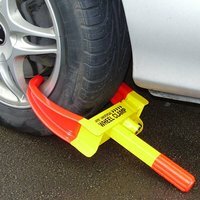 Fully adjustable universal Boat trailer wheel clamp. Fits 8, 10, 12 and 13 inch wheels. Clamps around the boat trailer wheel to stop it from rolling. Ideal security for caravans, boat trailers and motorhome. 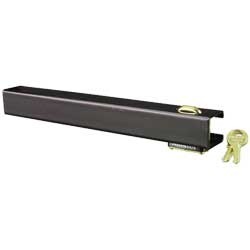 lloyds insurance approved boat trailer lock. Unique revolutionary product that provides excellent holding power and does not require mixing of cement or back breaking digging. Lloyds insurance approved boat and trailer security anchor device. Easy to fit. 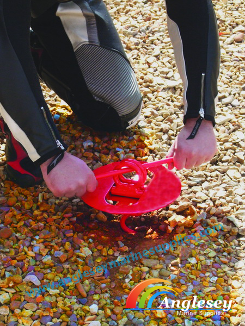 Ideal for boats, trailers, caravans, motorcycles etc.